“Nieteoperek” is the eighth largest hibernation roost in Europe, according to EUROBATS. The large complex which was built by the Germans during World War II, is located in western Poland, near the border with Germany, and consists of over 32km of abandoned tunnels reaching a depth of over 30m. 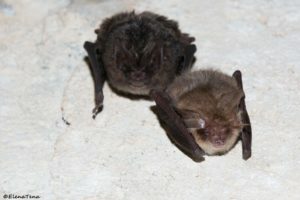 although there are nine species of bat that regularly hibernate at Nietoperek, up to twelve different species have been recorded in the tunnels with the most abundant being the greater mouse-eared bat (Myotis myotis), Daubenton’s bat (M. daubentonii) and Natterer’s bat (M. nattereri). Almost 38,000 individuals have been recorded and ringed individuals who travel northeast across migratory routes of over 250km to take shelter in the bowels of Nietoperek. 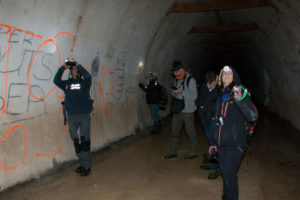 In addition to the macro tunnel complex, this reserve includes a series of bunkers, some in ruin, that provide shelter for species with a preference for colder roosts such as the barbastelle (Barbastella barbastellus) and the brown long-eared bat (Plecotus auritus). 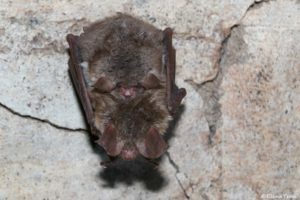 Over 200 barbastelles have been counted in a single cluster inside one of the bunkers and, occasionally, solitary individuals of northern species such as the northern bat (Eptesicus nilssonii) are also observed. 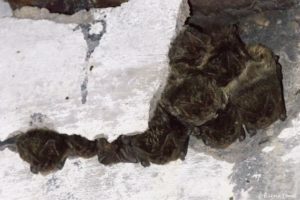 However, these hibernation surveys are fairly recent; they began in 1999 when the Polish research team led by Dr Tomasz Kokurewicz, undertook the arduous task of counting all the individuals that roost in the concrete tunnels of Nietoperek. But it would not be until the year 2006 when the international hibernation surveys would begin, with the collaboration of both specialists and bat lovers. Ever since then, the project has continued to grow, including this site in the Natura 2000 Network as a protection measure for this unique Polish site, and even the founding of an NGO in April of last year called ‘TOP Nietoperek’. Moreover, thanks to communication between scientists from different countries, each year sees more researchers and bat enthusiasts contributing to the annual surveys, with the January 2019 contingent representing up to 14 different countries. 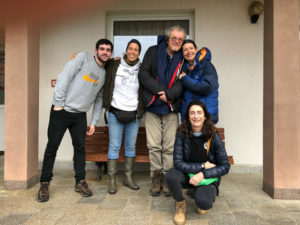 Among this contingent was our member Laura Torrent, who discovered Nietoperek thanks to the Erasmus programme, where she spent the winter counting bats for her undergraduate dissertation and has forged a close friendship with Dr Kokurewicz and his team. 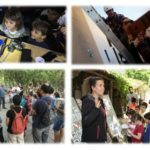 Ever since then she has continued to attend the annual surveys, as well as other projects relating to Nietoperek, becoming the coordinator of the Spanish participation in these. 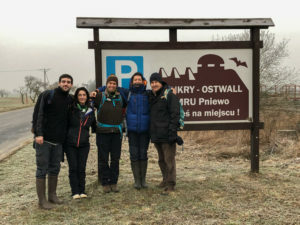 Another of our members, Santiago Perea, has started working this winter with Dr Kokurewicz and the Wrocław University of Environmental and Life Sciences thanks to a Masters grant from the Complutense University of Madrid, with the prime objective of learning and training in bat hibernation census techniques and data processing. Three annual surveys are currently undertaken at Nietoperek, of which the main one is carried out in mid-January, when the nine sections that comprise the study area are examined simultaneously. The census involves over 70 people in addition to a team of 12 professional volunteers who are in charge of guaranteeing security during the surveys, in order to cover all sections while minimising the degree of disturbance. 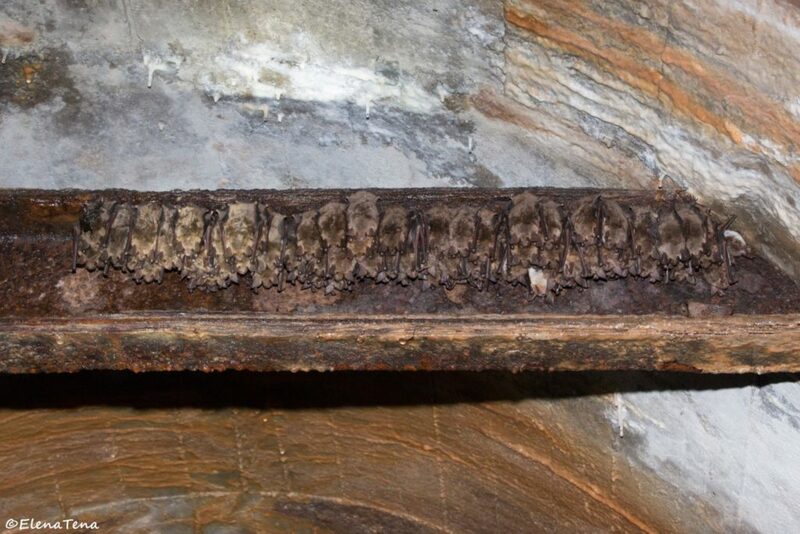 Also, two additional surveys have been carried out since 2016 in November and March, in order to study the bats’ movements within the tunnel complex during the winter, depending on temperature. To this end, the team of Belgian researchers led by Ralf Gyselings and Luc De Bruyn has been recording the temperature and humidity of the environment throughout the year using data-loggers. 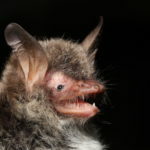 Preliminary results indicate that bats tend to concentrate within the colder sections of the complex as the end of winter approaches; this being the main interest of these studies on population trends, which relies on data collected over decades, the ability to understand the possible impacts of climate change. 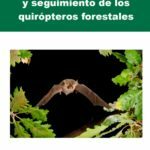 During this year’s March survey, our members Elena Tena, María CV, Laura Torrent and Àngel Torrent joined an international team of 53 people to count hibernating bats at Nietoperek. They coincided with veteran contributers such as John Haddow of Scotland or Anita Glover of England and met people who, like them, where visiting this corner of Poland for the first time. 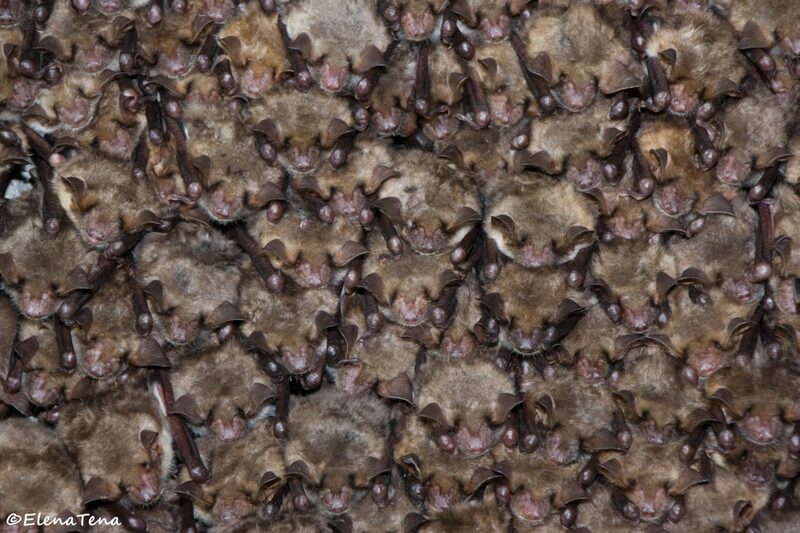 Each descent into the tunnels is unique, no matter how long you have been exploring them; it is impossible not to marvel over and over again when you see hundreds of M. myotis forming clusters in deep torpor, waiting for the cold to pass to once again take flight into the night sky. In the narrowest sections, the bats are so close that one could pick them up by hand, or even collide with them. However, all surveys are carried out with the relevant permits to cover protected areas and species and they are carried out with the highest scientific rigour to avoid altering the animals’ hibernation as much as possible. 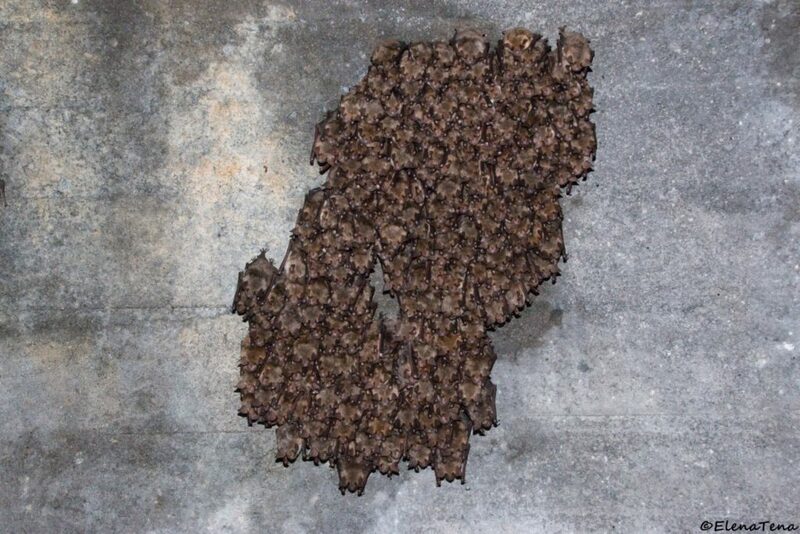 Over 23,000 bats were counted during the latest March census, and all in just five of the nine sections! Nietoperek is a ‘sanctuary’ for central European bats, as well as a paradise for all bat fans; it takes us to plan long trips from our respective countries of origin to enter its labyrinth of concrete and steel. For the volunteers who contribute towards their conservation and spread the word about the place’s richness, it is a unique experience which, we hope, will transcend generations.